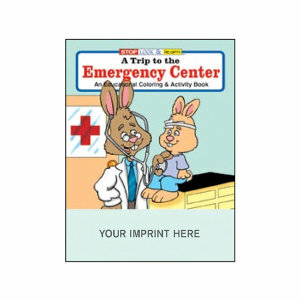 Coloring and activity book teaches children about the emergency center. 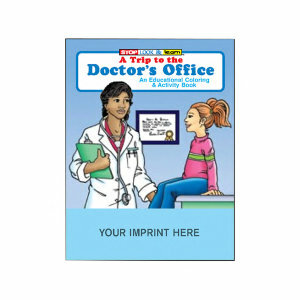 Coloring and activity book teaches children doctor visits. 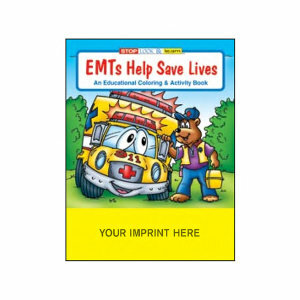 Coloring and activity book teaches children about ambulances and EMT's. Coloring and activity book teaches children about the hospital. Coloring book will help relieve a child's concerns about a hospital visit. 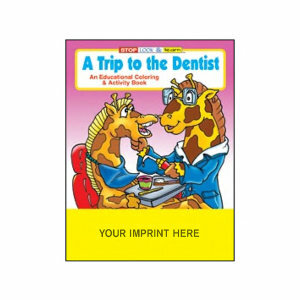 Coloring book and activity book teaches the importance of the dentist. 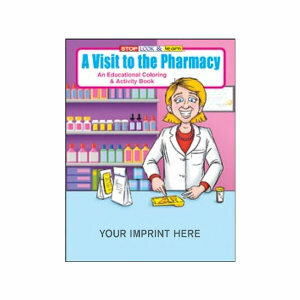 Coloring and activity book teaches children about the pharmacy. 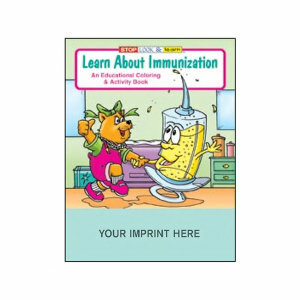 Coloring and activity book teaches children about immunizations. Coloring book explains to children about babies. 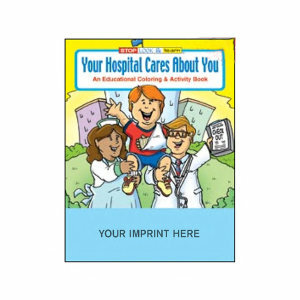 Perfect for doctors, dentists, hospitals and more, these custom printed coloring books and customized activity books can help teach kids about hospitals, doctor visits and many other medical related subjects! Filled with fun pages to color and many activities to keep children busy, these custom books make cost effective promotional products that not only help you, but teach children as well! Looking for something besides promotional coloring books? We have thousands of products to help you with your advertisement and promotional needs. From promotional school supplies like rulers and pencils to insurance and medical products, we're your #1 stop for promotional and advertisement products. To see some of the other products we offer feel free to check out our HUGE promotional catalog by clicking here or give us a call at the number below to have one of our friendly customer service representatives help you find your perfect promotional solution!